If you’re looking for a yacht for a group of friends, then this itinerary is ideal for you. 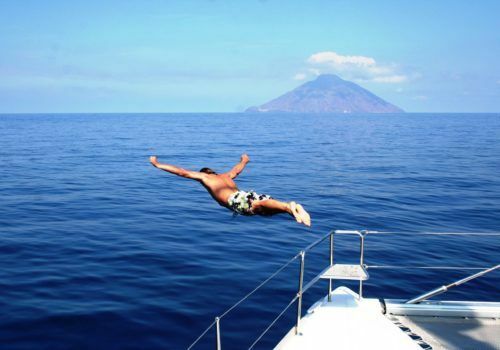 Sail around the Aeolian Islands in Italy on your choice of a beautiful yacht. Explore Stromboli, Salina, Filicudi, Vulcano and Milazzo on board with friends. You need no sailing experience to enjoy this trip. Choose from a range of yachts including the Lagoon 400, Lagoon 500 or state-of-the-art Lagoon 520. If you’re looking for the top end then we can provide a Catamaran 500 or a Lagoon 620. Enjoy the services of a skipper and hostess and adapt your itinerary based on the group and the activities you are interested in – snorkelling, diving or trekking are just some of the options. Take in the breathtaking beauty of the south of Italy on your very own private yacht. Fly to Catania or Palermo Airport and transfer to Milazzo (not included). Welcome drink onboard followed by a safety briefing. 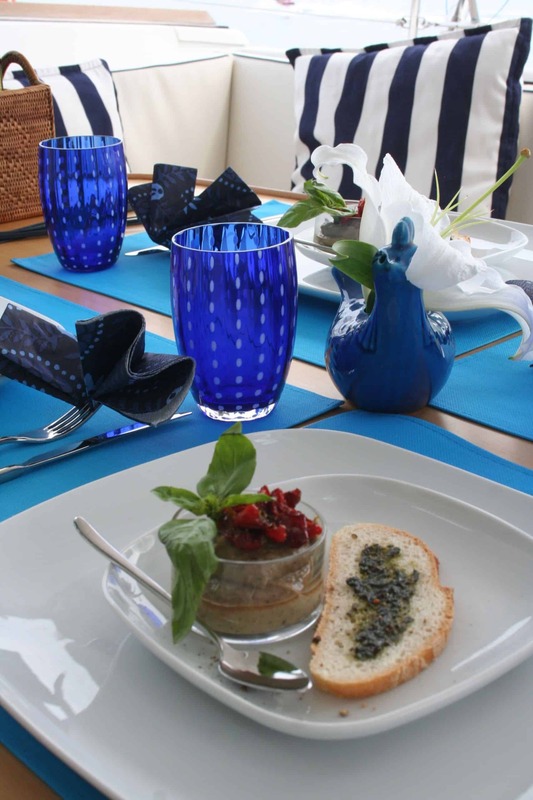 Dinner and night on board your catamaran in Milazzo. Milazzo is the best starting point for discovering the Aeolian Islands. It is the birthplace of ancient cultures and the Aeolian Islands have always attracted sailors and travellers from all over the world. Breakfast on board and departure from Milazzo. Sailing to Panarea, the smallest of the Aeolian islands. We suggest lunch at uninhabited islets Lisca Bianca and Bottaro. In the late afternoon, you’ll arrive into Panarea and enjoy the white village. We recommend dinner at “Da Pina” Restaurant (a masterpiece of Panarea nightlife) before staying overnight in Panarea. Breakfast on board and departure for Stromboli. Sailing along the little islet of Basiluzzo, you will arrive in the late morning in Stromboli. Lunch on board and free time to visit the village and to swim in the hot volcano water in the afternoon. We suggest a guided trek to the Stromboli Volcano in the late afternoon. Breakfast on board followed by a sailing tour of the island of Stromboli, which has been continuously erupting for the past 2,000 years. Continue your day swimming and snorkelling at Stromboli Ginostra before the Salina-crossing. Lunch on board during the sailing and you’ll arrive into Salina in the afternoon. We suggest a private wine tasting and dinner at Tasca Conti d’Almerita Winery at the Capofaro Malvasia & Resort. Overnight at Salina Harbour. Breakfast on board then sail from Salina to Filicudi arriving in time for lunch. Relax and swim in the waters of this isolated and beautiful Island. Filicudi in one of the most untapped retreats, with her off the beaten track feel a favourite for people that are looking for the ultimate bohemian experience. Crossing to Lipari, you will sail along the west coast of the island. Swim at Canneto and visit the famous pumice quarries. Arrive late afternoon at the port of Lipari with free time to explore the village. Breakfast on board before sailing from Lipari to Vulcano Island around the Faraglioni. Take a tour of the island by boat before stopping at the Venus swimming pool Venus and the Horses’ Cave. Sail along the west coast to the small port of Vulcano Gelso. Swim at Gelso and relax in the afternoon before having dinner on board. Early in the morning, the crew will sail from Vulcano to the boat’s home port, Milazzo, before you set off on your onward journey. Each boat comes with a skipper who will navigate the yacht between islands and a hostess who will cook and clean the boat for you. Each day you will need to allow around £50 per person which allows for food, gasoline, harbour fees and mooring fees. 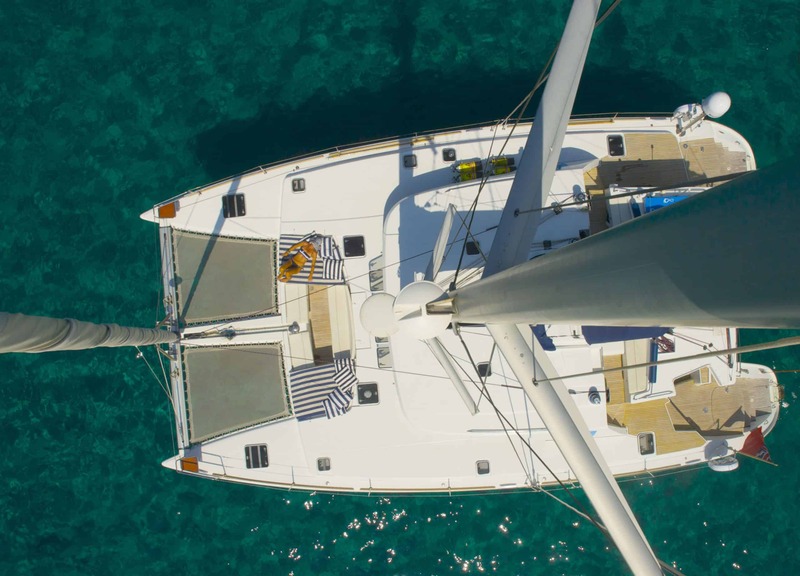 All boats are equipped with fans in all areas, TV, USB sockets in all cabins, MP3 player, bimini and sprayhood as well as a canvas sunshade for the side and back. Luxury yachts come with air conditioning. Some boats are equipped with further amenities too such as: snorkelling equipment, Submarine Dolphin SeaDoo Watercraft and fishing and diving equipment.